Thanks for your help nasdaq-----Seems to be back to normal. I'll watch what happens with Chrome usage over the next few day. Here Is what I did: 1.Uninstalled Chrome 2.Ran scan found same 27 threats Deleted them. 3.rebooted computer 4.ran Malw. B. scan it was clear 5.Reinstalled Chrome and went to a variety of my bookmarked sites 6. Ran Malw B. scan and it was clear again. It depends on the type of license. The lifetime licenses were always just for a single device, while some of the yearly subscription licenses are for 3 devices (in fact when Malwarebytes first went to a subscription licensing model, all of the subscription licenses were initially for 3 devices; they later changed it to allow users to purchase single device licenses for a lower price). You may be able to fix the Windows Defender issue by changing a setting in Malwarebytes. 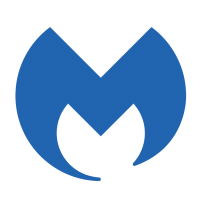 Open Malwarebytes and navigate to Settings>Application and under Windows Action Center select the option Never register Malwarebytes in the Windows Action Center then reboot your system and you should have both Malwarebytes and Windows Defender fully functional. I'm assuming you mean, Malwarebytes Browser Extension BETA --->then Settings--->then Protection---> and under Protection--->turn off "Enable advertising/tracker protection"? If that's what your saying then as this is a BETA, the next build should include an Allow List for "Enable advertising/tracker protection" and other settings options. We shouldn't have to break the extension to allow safe sites. Thanks for your suggestion but I will just do as I've started doing as in the first Post. Quick temp fix is to Turn Off "Ads/Clickbait" until I fill in the form and send, and then turn on "Ads/Clickbait" again when I'm done. Just a little easier this way as the option is in your face when you click the extension on the Extensions-Bar and doesn't compromise the Extensions full security options. I'm still protected on a MB free trial period. I can wait until staff members return for some clarity. When I purchased MB Pro many moons ago, If I remember correctly, you were allowed to have it on 3 systems as long as they were your own personal home computers. I do recall a friend having MB Pro on 3 systems. When I built my current PC I installed MB on it. At that time, for a short period of around 2-3 months, it was installed on 2 systems with no issues. My laptop and newly built PC. I wiped my laptop and retired it and since then I've had it only on my Desktop PC build. Almost 3 years ago I updated my PC with a SSD and since then I've had MB installed on both drives. My SSD and HDD both on W7. HDD is rarely used and thank you to exile360 for helping me bring it back to it's former glory....Areo theme issue....and so on. Yesterday when I updated to 3.7.1 it was on my HDD. I use this as a Back up drive, storage and as a test mule for software. I thought I would test drive 3.7.1 before updating my main drive. My SSD is on 3.6.1 which is activated with full protection. I found this linked page after a search. It suggests that you can only have MB premium on one operating system. I just checked a PM with Liquid Tension from Jan/22 where he said " Lifetime licenses are typically for use on only one computer at a time." I mentioned in an earlier post he said I could have it on multiple drives on same PC. My apologizes for that. I was wrong as he never said that. Oooops.....lol. Before proceeding any further I would like clarification on this from a MB staff member or anyone else that knows for sure. Can you have a Lifetime license installed on 1 computer on 2 drives? This could be my issue. When I try to activate 3.7.1 it's prompting me to deactivate other device. This is my SSD MB 3.6.1 which is activated on same PC. https://support.malwarebytes.com/docs/DOC-1068 Still can't register my license to manage it on my newly created account on My.Malwarebytes.com. I will need some assistance with this. Thanks I am printing out this advice and will follow it. Will let you know what happens. Hello, Welcome to Malwarebytes. I'm nasdaq and will be helping you. If you can please print this topic it will make it easier for you to follow the instructions and complete all of the necessary steps in the order listed. === Your copy of Chrome may have been compromised Remove Chrome from your Computer and reinstall a fresh copy later. If you remove the syncing of your account you must remove it before you save your bookmarks etc... Delete Your Google Chrome Browser Sync Data if you sync with other devices. <- Important ... https://forums.malwarebytes.com/topic/214325-chrome-secure-preferences-detection-always-comes-back/ Before you remove Chrome Export your Bookmarks Chrome will export your bookmarks as a HTML file, which you can then import into another browser. How To: http://ccm.net/faq/31791-how-to-backup-your-google-chrome-bookmarks Before you remove Chrome Export your Passwords How to export your saved passwords from Chrome https://betanews.com/2018/03/09/export-chrome-passwords/ Clear your Chrome cache and cookies https://support.google.com/chromebook/answer/183083?hl=en Remove Chrome using the the instructions on this page. https://support.google.com/chrome/answer/95319?hl=en Re-install Chrome and the Bookmarks. <<<>> Let me know if the problem is solved or not. ==== Some Security program will quarantine the download. Let me know whick Virus Security program you use and I may be able to help you for now or later downloads. How to know if I have a virus or a malware? Hello, Welcome to Malwarebytes. I'm nasdaq and will be helping you. If you can please print this topic it will make it easier for you to follow the instructions and complete all of the necessary steps in the order listed. === Please post the FRST.TXT and the Addition.txt logs that were created by running the Farbar program. Wait for further instructions. Hello, Welcome to Malwarebytes. I'm nasdaq and will be helping you. If you can please print this topic it will make it easier for you to follow the instructions and complete all of the necessary steps in the order listed. === First please post the previous topic link I helped you with. I need to see you run the Farbar program is normal mode. Please post the logs for my review. Hello, Welcome to Malwarebytes. I'm nasdaq and will be helping you. If you can please print this topic it will make it easier for you to follow the instructions and complete all of the necessary steps in the order listed. === Download the Farbar Recovery Scan Tool (FRST). Choose the 32 or 64 bit version for your system. and save it to a folder on your computer's Desktop. Double-click to run it. When the tool opens click Yes to disclaimer. Press Scan button. It will make a log (FRST.txt) in the same directory the tool is run. Please copy and paste it to your reply. The first time the tool is run, it makes also another log (Addition.txt). Please attach it to your reply. How to attach a file to your reply: In the Reply section in the bottom of the topic Click the "more reply Options" button. Attach the file. Select the "Choose a File" navigate to the location of the File. Click the file you wish to Attach. Click Attach this file. Click the Add reply button. === Please post the logs for my review. Wait for further instructions p.s. Let me know if you Sync your default browser to your other devices. Well, "So Far", no anomalies. Will leave 'Fast Startup' off for the time being. on another salient point, that Screenshot I posted showing Windows Defender saying my IT Department had limited my access ... seems to be a documented Windows problem ... so if I disable MB four buttons, then immediately Windows Defender can be used to scan, for example, a file in the Downloads area by right-click. I just now verified that .. and also re-activated MB.